He details in a Financial Times op-ed that Moscow-based state oil giant Rosneft owns two offshore gas fields in Venezuela and further has "stakes in assets boasting more than 20m tonnes of crude." But as embattled President Nicolas Maduro faces US-led efforts to oust him in favor of opposition leader Juan Guaido, billions are on the line for Moscow making its interest in preserving the regime run deep. This comes after a significant weekend development in which US National Security Adviser John Bolton promised that the United States will begin humanitarian aid shipments into Venezuela via Brazil and Colombia, despite Maduro denying acceptance of such aid. Guaido, considered "Interim President" by Washington has "authorized" such aid. 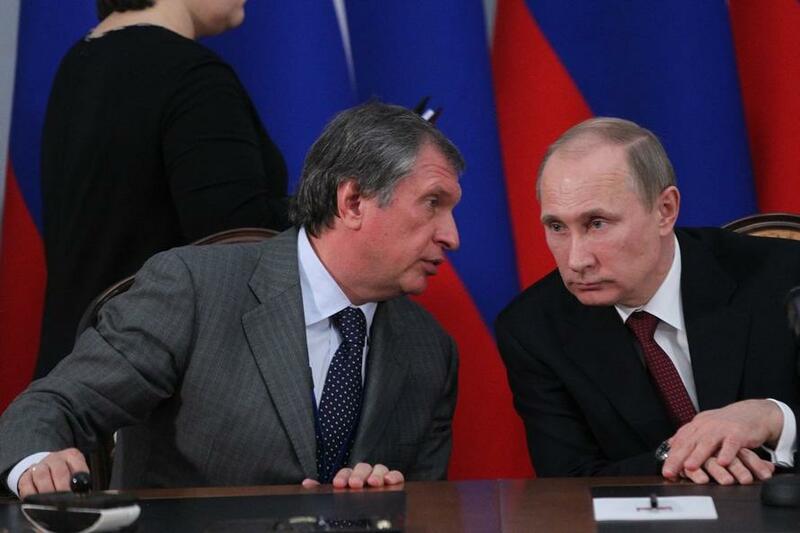 But as Gabuev suggests in FT, Rosneft's powerful Chief Executive Igor Sechin's involvement in decision-making on Venezuela means Moscow's foreign policy is “increasingly driven by a combination of corporate interests and ambitions” led by Putin's oligarchic inner circle. According to Gabuev, Sechin met Maduro in Moscow last September and followed that by flying to Caracas in November. Sechin is “arguably the most powerful man in Putin’s entourage” and oversees Russia's energy sector. Sechin and a large delegation of executives met with officials at PDVSA in a Caracas hotel this week. Sechin also met with Venezuela’s leftist leader Maduro, and chided him overoil-for-loans shipments that are behind schedule. “He brought information showing that they were meeting obligations with China but not with them,” said one source with knowledge of the talks. Meanwhile, both China and Russia further remain the Latin American country's biggest arms suppliers. And as both countries have billions in oil-for-credit type unpaid loans on the line, neither is likely to give up on Maduro so easily. All of this suggests amidst what some analysts have dubbed "a new Cold War" scenario that another Cuban Missile Crisis in America's backyard could be around the corner.